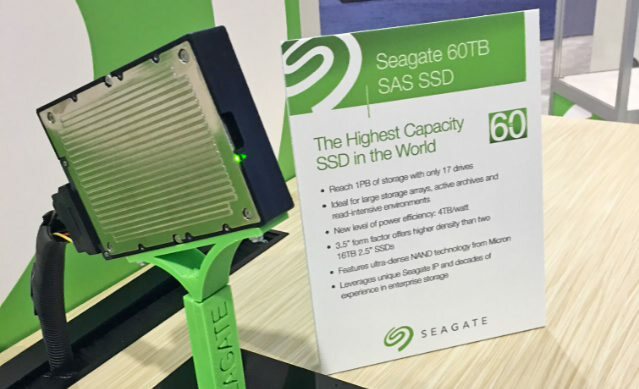 Seagate has announced a 60TB SSD hard disk. This is the largest SSD yet with that sort of capacity. Seagate new 60TB is only meant for businesses and released as an addition to Seagate’s data center portfolio. The Seagate 60TB SSD will be available in 2017. Reach 1PB of storage with only 17 drives. Ideal for large storage arrays, active archives, and read-intensive environments. A new level of power efficiency: 4TB/Watt. 3.5′ form factor offers higher density than two 16TB 2.5′ SSDs. Features ultra dense NAND technology from Micron.